The city of Bordeaux is located on the South-Western part of France and the Garonne River crosses the city. 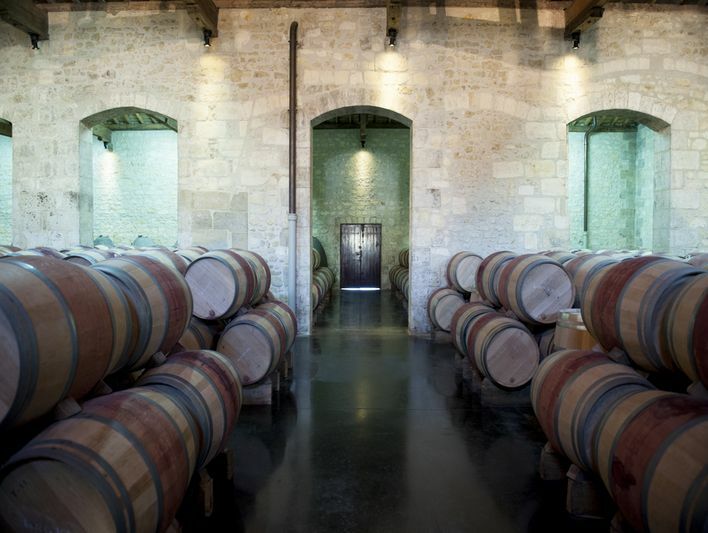 Known as the world capital of wine, Bordeaux was registered on the UNESCO World Heritage Sites in 2007. Actually, the city has more than 300 buildings or sites registered on the UNESCO list. Bordeaux had always been a great port, the port is named “port de la Lune” which means port of the moon due to its very special shape. During the past, the city developed a very effective trade thanks to its port. 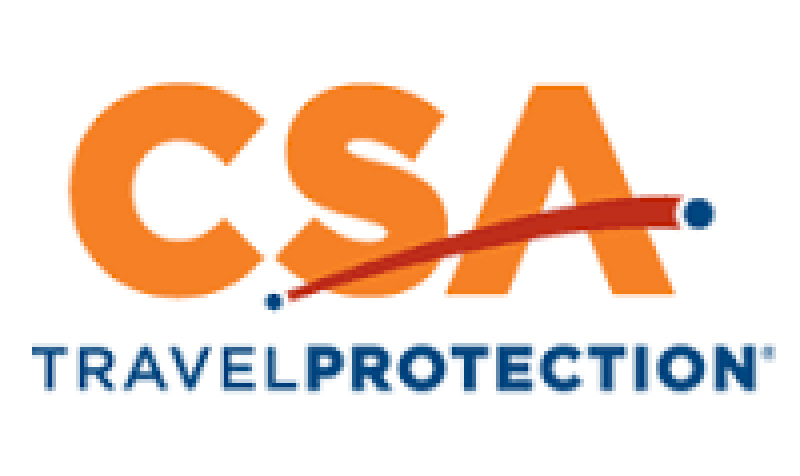 Bordeaux is nowadays the economical capital of the South –West part of France. 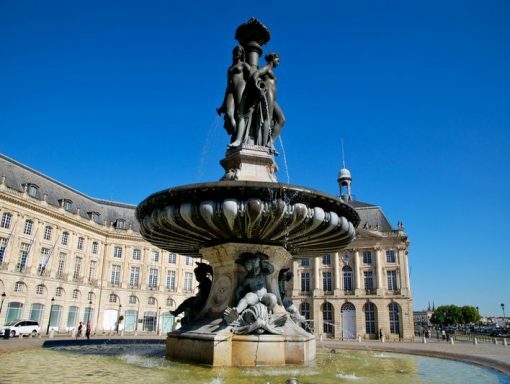 Bordeaux got the nickname of little Paris thanks to its classical architecture of the 18th and 19th centuries which look like Parisian architecture. Bordeaux is a beautiful city where old buildings blend with modern architecture, nice means of transportation along with a young and dynamic population. 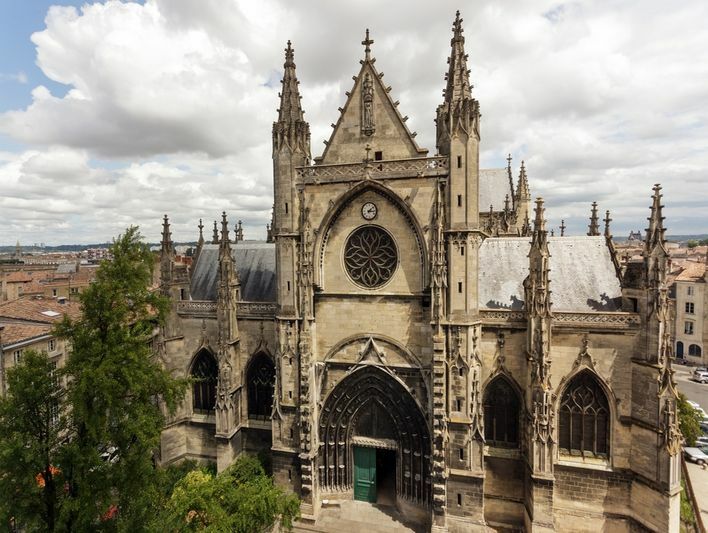 Bordeaux is considered as one of the best city to live in France, where the quality of life is high. The city has many different interesting points of interest to offer to its visitors such as the old city, the quays of the Garonne river, restaurants, theatres and museums. 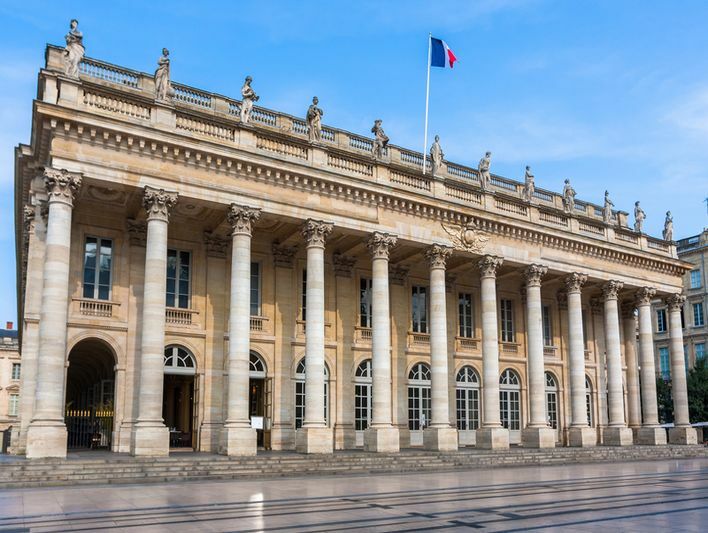 Place de la Bourse is the most famous square in Bordeaux, it is located on the quay of the Garonne river and offers wonderful setting to take pictures. The Place de la Bourse changed its names several time during the French history. It was first named Place Royal thanks to a statue of one of the king of France, then during the Revolution it became the Square of Freedom (Place de la Liberté), after, under Napoleon’s reign, the square was named Imperial Square. It is only in 1848, the square got its current name: Place de la Bourse. A nice fountain, the “Fontaine des Trois Grâces” was set on the square in 1869. The fountain can be admired at night as it is illuminated with different colors. 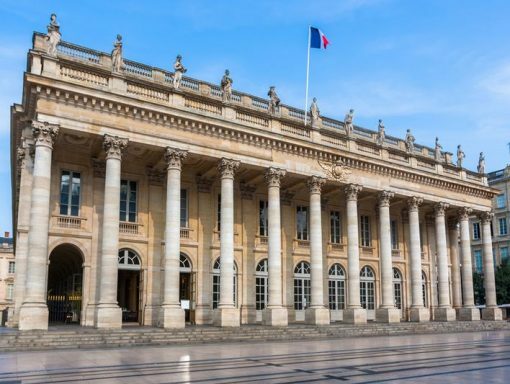 Place de La Bourse also counts a very interesting attraction: the “Miroir d’eau”, the mirror of water.This mirror of water was realized by the fountain creator Jean-Marc Llorca and the architect Michel Courajoud. It is a very particular masterpiece, in fact the floor is made of granite and this granite is covered by water (approximately 2cm) Every hour a new cycle starts and steam is produced, creating a foggy cloud. This water gives amusement to children and is a nice place to come during the warm Summer days. The buildings on the square reflect themselves on this mirror of water and visitors can make excellent pictures during the day or at night. Bordeaux is a well known area all over the world for its wine. 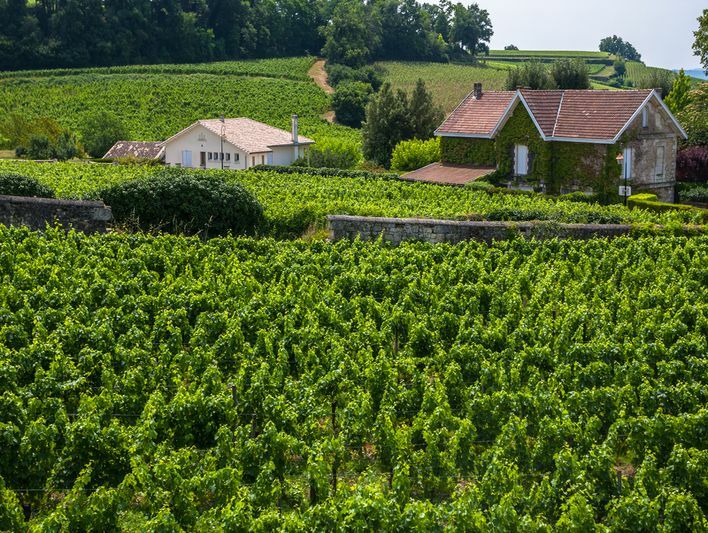 The region counts no less than 500 vineyards and exports wine to other regions of France and other countries and continents. Visitors can also taste these wines in one of the several wine bars of the city or visit one of the wonderful “Chateau” of the area and enjoy very nice landscapes composed of castles and vineyards along with a tasty glass of wine. During the week, depending on the day, different food markets can be found in different parts of the city. At the markets you will find, fruits and vegetables but also typical products of the region along with handcraft products. In Bordeaux, visitors can also find some shops selling the famous “Foie Gras” as it is made in the area, in the Landes region. The Cannelé de Bordeaux is one of the most famous specialties of the city. It is a small cake with a caramel color composed of milk, sugar, flour, eggs and a little bit of French Vanilla and Rum which give it its particular taste. Bordeaux organizes different events each year. Every two years, the Bordeaux Wine Festival takes place in the city with different activities, several tasting tables, concerts, light shows and fireworks. Visitors can taste different wines from the region along with typical food such as ham of Bayonne, Foie Gras and cheese. Another nice event in Bordeaux is “la fete du fleuve” (the river celebration). Visitors can see beautiful sailing boats form all over the world, a sailors parade is organized along with different races, concerts and activities. These traditional sailing boats offer a very nice setting for pictures. Bordeaux is full of interesting buildings. 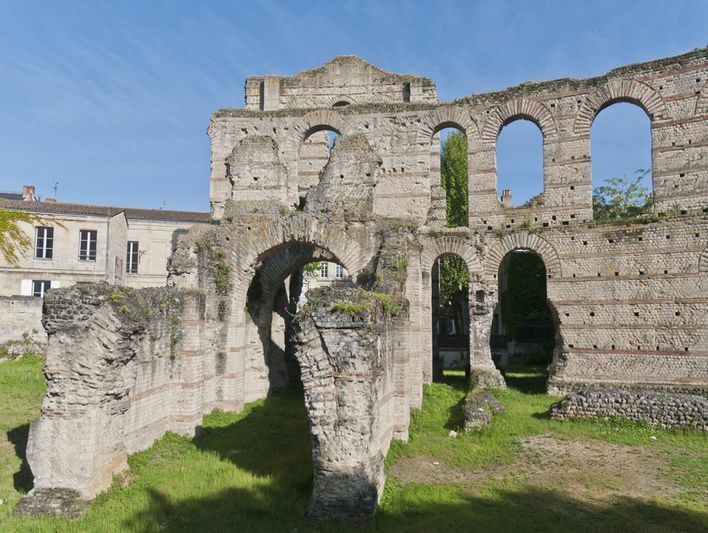 You can discover the Gallien’s palace, which was a Roman amphitheater. 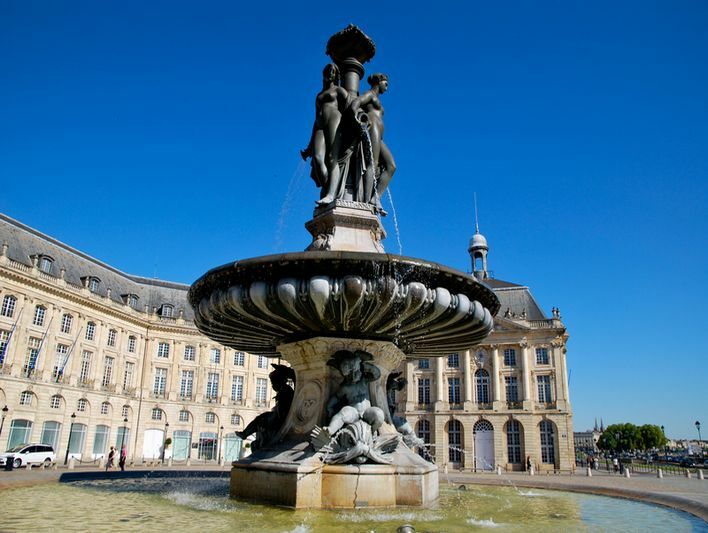 You will also see the Grand Theatre of Bordeaux (Opera House) which was inaugurated in 1780. It was designed by the great architect Victor Louis, on the façade 12 columns decorated with Antique mythology statues make it one of the most beautiful opera houses in France. The medieval quarter Saint Pierre is a very nice area to have a walk. It is also possible to enjoy the city from the water enjoying a cruise on the Garonne River. 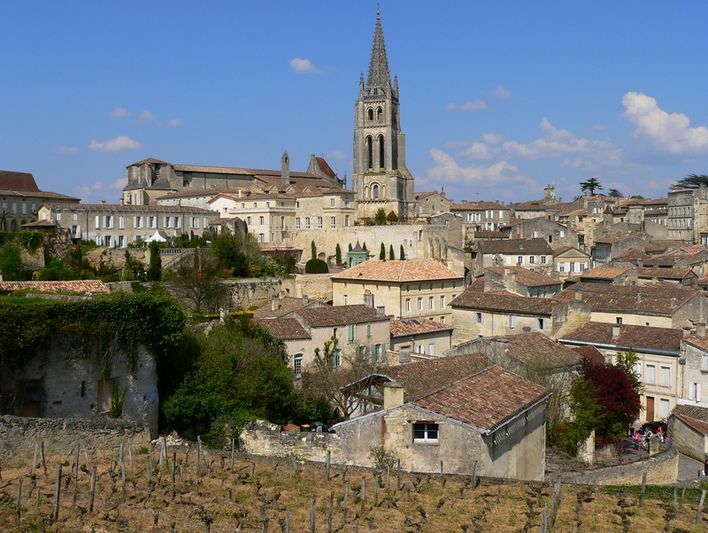 In the Bordeaux Region, among the several vineyards, discover the medieval city of Saint Emilion and its famous wine. 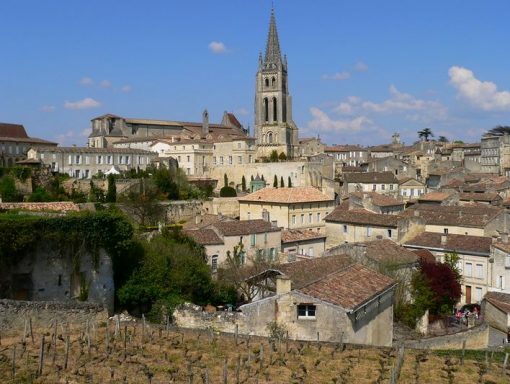 Several “Chateau” producers of tasty Bordeaux wine are located nearby this small town.